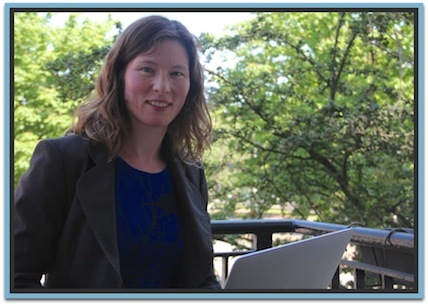 I am a researcher at CWI interested in the creation and use of Linked Open Data: linking heterogeneous and often cross-media collections, data modelling, and semantic search. One of my recent projects on linking media archives to political event data (PoliMedia) has been awarded the first prize in the LinkedUp Veni Challenge in 2013 and the Open Data prize at the LODLAM challenge in 2015. See also the two movies about the PoliMedia and Talk of Europe projects. I also work on usage analysis. In particular, I am interested in how semantics can be used for the analysis of query and click logs. See my work with Yahoo! and The Netherlands Institute for Sound and Vision for examples. I am co-organizer of the USEWOD workshop series about Usage Data of the Web of Data. Every year since 2011 we release the 'USEWOD dataset' of usage logs of several Linked Data servers, including DBPedia and Bioportal. In Talk of Europe (ToE) we translate the proceedings of the meetings of the European Parliament (europarl) to Linked Data. Our aim is to support a quantitative, longitudinal analysis of the EU parliamentary debates. ToE is a collaboration between VU University Amsterdam, the Erasmus University Rotterdam, DANS and the Netherlands Institute for Sound and Vision, and is a follow-up of the PoliMedia project in which these partners collaborated previously. It is funded by CLARIN ERIC and CLARIN-NL, made possible with support from NWO and OCW. You can query our data from a SPARQL endpoint. 01/2016: The Talk of Europe movie is finished! How do different media-outlets cover political news? The PoliMedia project aims to showcase the potential of cross-media analysis for research in the humanities, by curating automatically detected semantic links between data sets of different media types. See also the promotional movie that was made about PoliMedia. 09/2013: Polimedia won the LinkedUp Veni Competition! Try our demo at Polimedia.nl or read our paper. 04/2014: Polimedia featured in an article by Ewoud Sanders in the Dutch newspaper NRC about searching through public digital collections. 06/2015: PoliMedia won the Open Data prize at the LODLAM challenge! LODLAM was co-located with the Digital Humanities Conference 2015. VRE4IEC is a EU H2020 project that aspires a Europe-wide interoperable Virtual Research Environment. I lead workpackage 5 on policies for privacy, security and trust within a VRE. The project Images and Text in Online News (ION) is funded from two Amsterdam Data Science student assistant grants in 2015 and 2016. Our aim is to support a large scale analysis of images used in online news. For this purpose, we have constructed and made available the ION corpus, which is the basis of the ION demo. Collaborators: Thomas Mensink (UvA), Demond Elliott (UvA). Current student assistant: Oliver Becher. EURECA (Enabling information re-Use by linking clinical REsearch and Care) is a 10M € EU FP7 project. The goal is to enable seamless, secure, scalable and consistent linkage of healthcare information residing in electronic health record (EHR) systems with information in clinical research information systems, such as clinical trials. I was workpackage leader of WP 6 on Applications, semantic reasoning and decision support. Here is a video about this work package. ImREAL is an EU FP7 project on adaptive simulated learning. The main challenge is to connect the learning experience in the simulated environment with the real world and day-to-day job practice of the learners. During 2010/2011 I've been workpackage leader of WP4 on extended learner and context modeling. In this workpackage, we created semantic models to represent users and their real world context, explored ways to fill these models with usage data, and developed ontology alignment methods to match these models to Linked Open Data. Amongst other things we worked on U-Sem, a framework for the semantic enrichment and mining of people's profiles from usage data on the Social Web. See also the project description in Cordis. Academy Assistant project, funded by the VUA Network Institute, together with Wouter van Atteveldt and Antske Fokkens. The focus is on NLP techniques, in particular sentiment analysis, to analyze and compare political debates and news. The project Quantifying Historical Perspectives on WWII was funded by Amsterdam Data Science, 2014-2015. In this project we aim to quantify different perspectives on historical events. Check out our demonstrator or the paper about it at the TPDL conference. Academy Assistant project, funded by the VUA Network Institute. Does the relation between political logic and media logic shift over time? In the ShiftPol project Laura Hollink, Wouter van Atteveldt and three student assistants work on this question, building on the results of the PoliMedia project and the AMCAT toolkit. Academy Assistant project Linking media and political data on pension reforms ran from 2012-2013 and was funded by the VUA Network Institute. The project aims to explain when proposals lead to debate in the media and how debates in the media lead to proposals by politicians. See also our website. The MUNCH project (Multimedia Analysis of Cultural Heritage) ran from 2006 to 2010 and was funded by the NWO Catch program. MUNCH is a cooperation between the VU, the UvA and the Dutch Institute for Sound and Vision. The aim was to improve search possibilities in the rich collection of Dutch television broadcasts that is archived at 'Sound and Vision', by combining three research directions: structured background knowledge in the form of ontologies or thesauri, language technologies and content-based image retrieval. I recommend everyone to play around with the E-Culture Web Demonstrator, which has won the Semantic Web Challenge 2006. Interactive Disclosure of Multimedia, Information and Knowledge. From 2002 until 2006 I worked as a PhD student in this project. 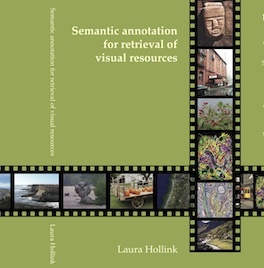 On the 16th of November 2006 I defended my PhD thesis, titled Semantic annotation for retrieval of visual resources [PDF]. See also my profile on Google Scholar, which is probably more up to date. Daan Odijk, Cristina Gârbacea, Thomas Schoegje, Laura Hollink, Victor de Boer, Kees Ribbens and Jacco van Ossenbruggen. Supporting Exploration of Historical Perspectives across Collections. Accepted for TPDL2015, 14-18.09.2015, Poznań, Poland. Martijn Kleppe, Max Kemman, Laura Hollink, Damir Juric and Johan Oomen. Linking to Digital Audiovisual Archives: the Need for Full-text Search. In proceedings of LARM2013, the LARM Conference on Digital Archives, Audiovisual Media and Cultural Memory, Copenhagen November 14-15, 2013. Wouter Van Atteveldt, Barbara Vis, Laura Hollink, Roel Dijkman and Pim van de Pavoordt. When do proposed pension reforms lead to a media wave?. In proceedings of Etmaal van de communicatiewetenschap, Rotterdam, The Netherlands, February 2013. Barbara Vis, Wouter van Atteveldt, Laura Hollink, Roel Dijkman and Pim van de Pavoordt. Reform Proposals, Media Attention, and Public Policy: Examining to What Extent Media Attention Shapes Dutch Pension Reform Proposals. Accepted for the ECPR Joint Sessions of Workshops, workshop 15 ‘Beyond Class Politics: How Parties, Voters, Media and Unions Shape Public Policy’, Mainz, Germany, 11-16 March 2013. John McCrae, Guadalupe Aguado-de-Cea, Paul Buitelaar, Philipp Cimiano, Thierry Declerck, Asunción Goméz-Peréz, Jorge Gracia, Laura Hollink, Elena Montiel-Ponsoda, Dennis Spohr and Tobias Wunner. Interchanging lexical resources on the Semantic Web. Journal of Language Resources and Evaluation, 2012. Fabian Abel, Ilknur Celik, Claudia Hauff, Laura Hollink and Geert-Jan Houben: U-Sem: Semantic Enrichment, User Modeling and Mining Usage Data on the Social Web. In compagnion proceedings of the 1st International Workshop on Usage Analysis and the Web of Data (USEWOD) at WWW2011, Hyderabad, India, March 28th, 2011. Berendt, B., Hollink, L., Hollink, V., Luczak-Rösch, M., Möller, K. H., and Vallet, D. (2011). USEWOD2011 - 1st international workshop on usage analysis and the web of data. In 20th International World Wide Web Conference (WWW2011), Hyderabad, India. B. Huurnink, W. van den Heuvel, L. Hollink and M. de Rijke. The Search Behavior of Media Professionals at an Audiovisual Archive: A Transaction Log Analysis (Abstract). In: DIR 2011: 11th Dutch-Belgian Information Retrieval Workshop, February 2011. Bouke Huurnink, Laura Hollink, Wietske van den Heuvel, Maarten de Rijke. The Search Behavior of Media Professionals at an Audiovisual Archive: A Transaction Log Analysis. Journal of the American Society for Information Science and Technology, 61(6):1180-1197, June 2010. E. Meij, M. Bron, L. Hollink, B. Huurnink and M. de Rijke. Learning Semantic Query Suggestions (Abstract). In DIR 2010, January 2010. J. Euzenat, A. Ferrara, L. Hollink, C. Joslin, V. Malaisé, C. Meilicke, A. Nikolov, J. Pane, M. Sabou, F. Scharffe, P. Shvaiko, V Spiliopoulos, H. Stuckenschmidt, O. Šváb-Zamazal, V. Svátek, C. Trojahn dos Santos, G. Vouros. Preliminary results of the Ontology Alignment Evaluation Initiative 2009. In proceedings of the 4th International Workshop on Ontology Matching at ISWC, Fairfax, VA, USA, October 2009. Laura Hollink, Guus Schreiber, Bob Wielinga. Patterns of Semantic Relations to Improve Image Content Search. Journal of Web Semantics 5 (2007), p. 195-203. [PDF] from ScienceDirect or my local copy.